Time flies by like lights blinding when you drive at night. Songs playing on your hifi while your thoughts take flight. Remember past reflections of this day and sigh. Noone knew where you would be, don't cower and cry. You gotta get away, you gotta get away. And find a place in the sky we call better days. Don't try and shy away. You need to fly away. Into the place in the sky we call better days. You gotta get away, you gotta get away. Time stands still while you're moving on from yesterday. Melodies have you grooving but no one pressed play. Darkness ever expanding makes you want to stay. Take heart and chase your weakness out of here and say. I gotta get away, I gotta get away. And find a place in the sky you call better days. I will not shy away I need to fly away. Into the place in the sky you call better days. I gotta get away, so very far away. Discover more in the sky and have better days. Play in the shining rays, enjoy a wondrous space. Find paradise in the sky and live better days. 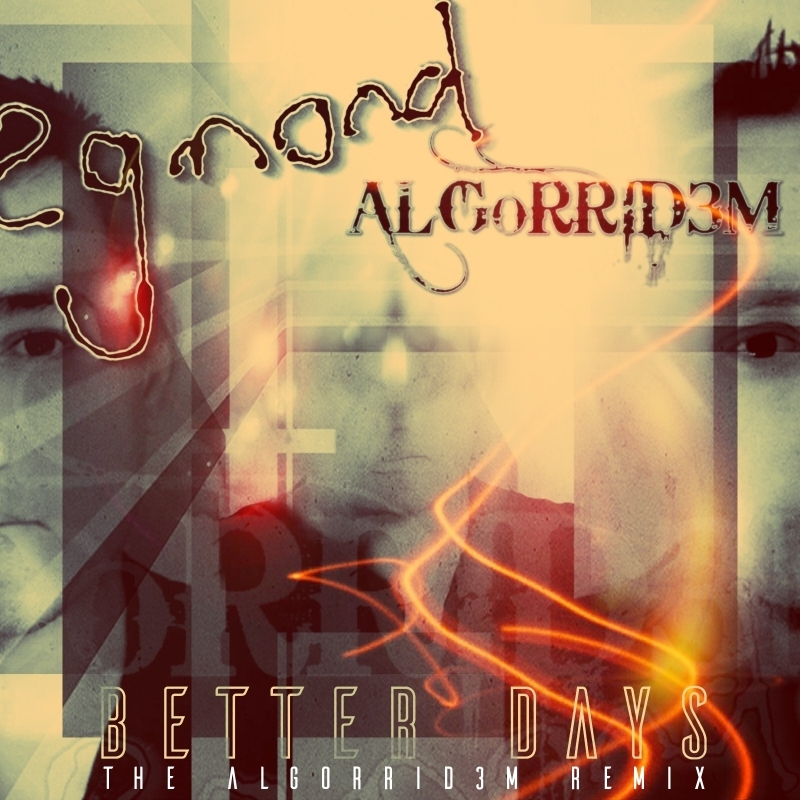 Almost a month after the smash hit Better Days was released, a new 2-track Remix Single was made available. Titled, The Algorrid3m Remix, the single features two versions of the song - the first being the radio version while the second is a 7 minute cut of the track. On the Lights Blinding album, an alternate intro version of the track is included, which is a fusion between the remix and the single. There are talks of a music video for the remix version that will feature the artist Algorrid3m. Watch this space for more info.